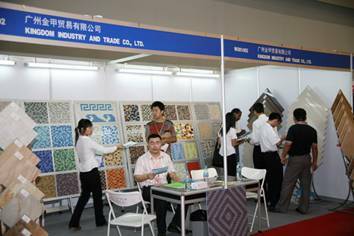 Kingdom Industry and Trade Co., Ltd. is a company specially engaged in exports of building materials such as mosaic and ceramic tiles. 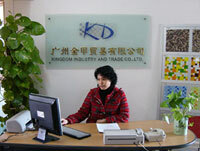 With a history of more than 10 years, our manufacturing plant has rich experience. The plant’s fix asset has exceeded 20 million yuan and can produce 8 million square meters annually of various kinds of mosaic and ceramic tiles of high, medium and low grades. The mosaic comes in these sizes: 10x10mm, 20x20mm, 25x25mm, 30x30mm, 50x50mm, etc. Of them, crystal mosaic, golden line glass mosaic and mirage glass mosaic are widely used in building decoration and interior decoration. They are ideal high-grade decorative material and are also used in various colorful artistic patterns and collage, which are of unique value for collection. Glass mosaic of different degrees of frosting used for outer and inner wall of swimming pools and buildings are inexpensive but of good quality. This company also produces high-grade mosaic made of natural stone and metal. With a strong artistic and three-dimensional effect, they are most suitable for decorating entertainment venues and deluxe hotels. Ceramic tiles produced by Our company include high-quality polished glazed tiles and other types of tiles. They come in such sizes as: 300x300mm, 400x400mm, 450x450mm, 500x500mm, 600x600mm, 800x800mm, 1000x1000mm, etc. 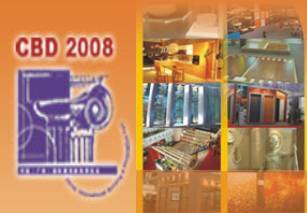 Our company’s products have passed the ISO90021: 2000 international quality control system certification and UCS quality certification. Our business principle is “manufacturing high-quality products and provide top-rate service.᾿Our glass mosaic products all meet the world’s first-class standards. They come in rich colors and soft and elegant hues and boast a vast catalogue of varieties. The products feature stable chemical properties and the color never fades. The surface is so smooth that dusts do not accumulate on it. The products are highly durable. As they have features of glass, the tiles glitter under the sunshine and refresh themselves after rain. 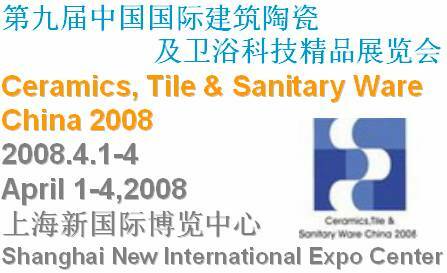 Our company adopted the nano technology to polish glazed tiles. The technique is also known as “mirror screen anti-pollution,᾿which marks a great breakthrough in the technology of pollution prevention and heralds a new epoch of mirror screen anti-pollution for polished tiles. With this technology, protective coating of nano class is used on the surface of polished tiles, resulting a layer of protective film that is as smooth and glittering as a mirror and is 100% anti-pollution. The polished tiles thus produced have several new features, namely super-brightness, permanent anti-pollution, self-cleaning, anti-bacteria, anti-skid, wear resisting, super strong hardness, and environment friendly. Thanks to these features, our products enjoy a good reputation among clients of various types and are very popular among consumers. 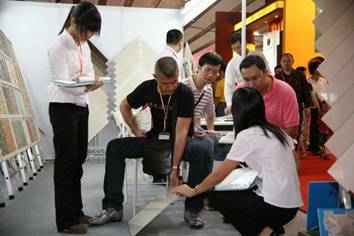 By now, our products have been sold well in many countries and regions in Europe, Americas and Southeast Asia and have established a good reputation in markets as well as within the tile industry and won widespread praises from clients. All buildings of our foreign clients have become beautiful scenes in the locality after they used our products for decoration. 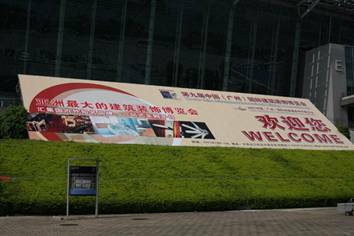 We sincerely welcome our foreign clients to visit this company’s website to learn about our products and communicate with us. We will provide you with detailed information about our products with best and fastest service to meet your needs. We hope more of our products will used in your world to make your living space more beautiful.